The Apache was Piper's first production twin-engined, four-place executive airplane. 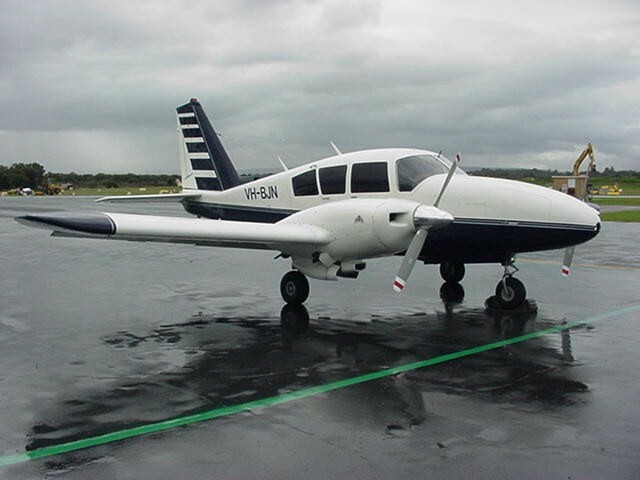 As such it was to become the forerunner of a long line of Piper executive and charter aircraft that extends to this day. 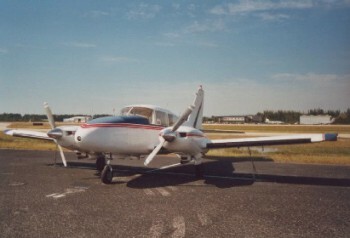 With this airplane, Piper left behind the tube-and-fabric Cub for the modern all-metal airplane. This particular Apache performed commuter and charter service around the eastern United States. 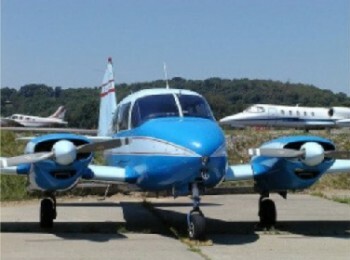 When Piper purchased the assets of the Stinson Division of Consolidated Vultee Aircraft Corporation in 1948, one of the proposed designs was the Twin Stinson that was to be a modification of the popular Stinson 108 Voyager/Station-Wagon. 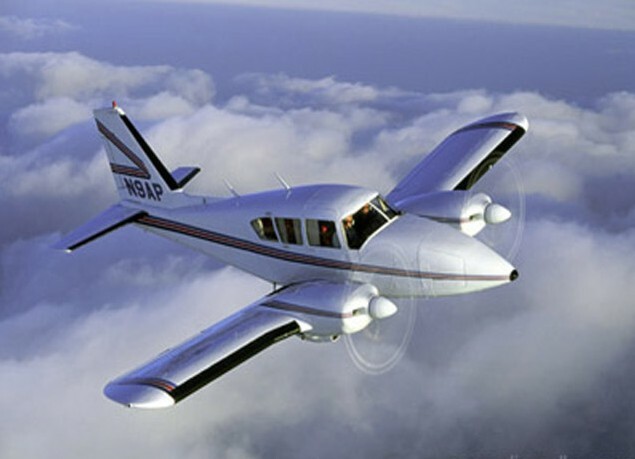 In 1952 Piper decided to build the Twin Stinson as a light twin-engined executive airplane. The experimental prototype, the Model 23-1, was a four-place, steel tube-and-fabric, low-wing airplane with a fixed tricycle landing gear and a twin tail. It was powered by two 125 hp Lycoming O-290D engines. Flight tests in 1952 indicated that the airplane was under-powered and had some control response and vibration problems. 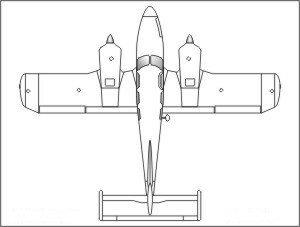 Correction of these difficulties resulted in the complete redesign of the airplane, including all-metal construction, a single vertical fin, retractable landing gear, and 150 hp Lycoming 0-320-A engines with constant speed propellers. 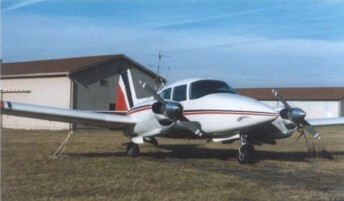 Completed in July 1953, it was renamed the PA-23 Apache and was the first of the Piper "Indians," when Piper began naming its various aircraft after Indian tribes. 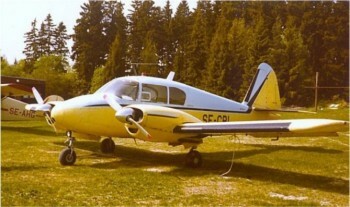 The first production PA-23-4 Apache was delivered early in 1954. Initially the airplane was to have been sold for $25,000 but the actual price at the time of first production was $32,500. This was still the least expensive twin of that class. Much to the surprise of many sceptics, sales began to climb and Piper production capacity had difficulty keeping up with the orders. Apaches came in three versions, Standard, Custom, and Super Custom and ultimately 2,204 Apaches were produced through 1958. 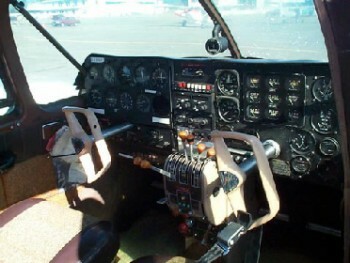 Piper upgraded the Apache in 1960 with 250 hp Lycoming engines, new flight instrumentation, a swept vertical fin that increased performance, and a new name, the Aztec. Over 4,800 Aztecs were built. 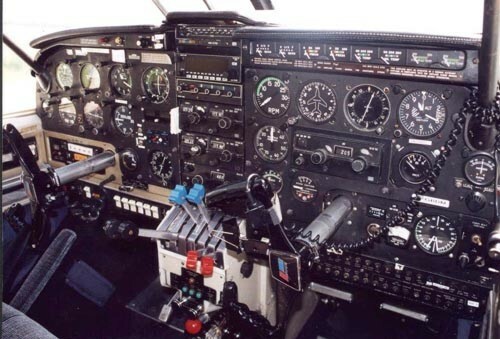 The Apache and Aztec price and size allowed smaller companies and executives to own or operate business aircraft.